Vicki White, president of Chicago Books to Women in Prison, reads a letter sent from an incarcerated woman to the organization, which donates books to women in prisons in Illinois and across the country. The volunteer effort is one of a handful of books to prisoners and prison library projects in Illinois, and several dozen across the country. Chicago BWP president Vicki White said the driving force behind this work is a lack of access to reading materials in prisons, and that’s particularly true in Illinois state prisons. Last year, the Illinois Department of Corrections (IDOC) spent $276 on books for its educational programming across 28 correctional facilities, according to data obtained through a Freedom of Information Act request. In comparison, the state prison system spent roughly $750,000 each year on books in the early 2000s. In 2005, spending on books dropped to $264,000. In the last five years, IDOC spent a total of roughly $140,000 on reading materials. That figure represents a 96 percent decrease from what was spent on books between 2000 and 2005. IDOC did not respond to a question asking about the steep drop-off in funding for reading materials. Megan Maurer worked as a librarian at Robinson Correctional Center, a state-run prison in southeastern Illinois, between 2013 and spring of last year. 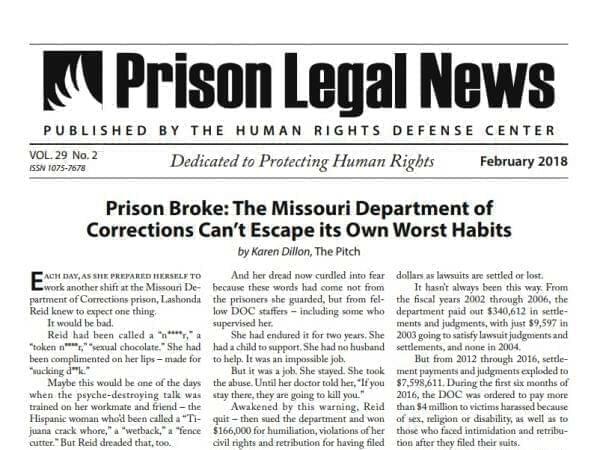 “I can confirm that there is no budget for the general library for the Illinois Department of Corrections at least as of when I left a year ago,” she said. To stock the prison library collection, Maurer said she relied heavily on donations from individuals, volunteer groups, and inmates who receive books from family and friends or from books to prisoners groups. White, with Chicago BWP, said the group often receives letters from inmates who say once they’ve read the donated books, they donate them to their prison libraries. “It could even be the case that, in a roundabout way, the books we send to women are stocking the prison libraries more than their budget would allow,” she said. 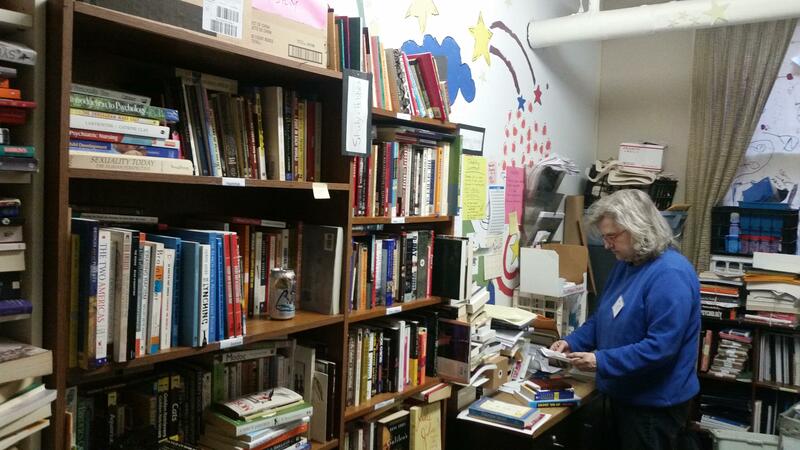 One woman incarcerated at Logan Correctional Center—a state prison in central Illinois— wrote to Chicago BWP and explained that she and a group of women on her cell block started their own library with the books the volunteer organization had sent them. White said she and a few other volunteers recently visited the Logan Correctional Center and saw what she described as a very small library. “We certainly saw a need for our services,” White said. The steep drop-off in funding for books in state prisons could be costing the state more money in the long-run. Research indicates education programs reduce recidivism rates, and libraries play a role in that work, according to Lois Davis, co-author of a Rand Corporation meta-analysis of education programs in prisons. “We showed that for every dollar a department of corrections invests in education programs, they can save up to five dollars in reincarceration costs,” she said. A 2015 report from Illinois' Sentencing Policy Advisory Council states that nearly half of people incarcerated in state prisons will return to correctional facilities within three years of release. Each instance of recidivism on average costs Illinois residents nearly $120,000 in criminal justice and social costs, according to the report. Total expenses related to reincarceration in Illinois over the 5 year period through 2020 are expected to top $16.7 billion. The report also indicates that 97 percent of Illinois inmates will eventually be released from IDOC facilities. Current and former prison librarians, researchers and books to prison volunteers all say the fact that most incarcerated people return to society is a compelling reason to invest in educational programs and materials—including books. Diane Walden, institutional library development coordinator for the Colorado Department of Education, has worked in prison libraries in Colorado and Florida for more than two decades. She said there's significant public benefit to be gained from givng incarcerated individuals access to a wide variety of reading material. Reading, she said, fosters intellectual and emotional growth. “(Incarcerated people) are your neighbors, do you want them to be the same person they went in? Or do you want them able to make decisions, or do you want them to have gotten a degree or do you want them able to hold a job?" Walden said. Prison officials across the country have begun to realize the significance of educational opportunities for incarcerated people and the potential impact those opportunities have on recidivism rates, according to Davis, but there’s less awareness of the need for robust library collections to support that work. “In general, the situation in Illinois is not unique,” Davis said. “Prison libraries are fairly low” in funding priorities. Davis said the task of stocking correctional center libraries often falls on nonprofit organizations. Maurer, the former Illinois prison librarian, said she depended on an outside group that sent books to prisons to maintain the prison library and tailor the collection to the needs of inmates. The role of a prison librarian, she said, is to help inmates find the information they need to make better choices for themselves and their future, she said. Maurer currently serves as the assistant director of the Scenic Regional Library in Union, Missouri. “Being able to read, being educated, having a plan for when you leave the facility for what you’re going to do—that can reduce recidivism,” Maurer said. She said she didn’t care what an inmate was locked up for, she cared about making sure they did not return to prison. Julius Mercer was a star athlete in hurdling, which helped him get a college scholarship. Mercer, a Park Forest native, missed a shot at the Olympics in 1984. He moved to Los Angeles in 1985 to continue training in track and field. While living in L.A., undiagnosed mental illness led to a suicide attempt. After that, he returned to Illinois in 1991, got married and had a child, but when his marriage fell apart, he sank into a deep depression. His illness was compounded by the death of his father and he began using drugs and then stealing to support the habit, he said. Mercer was sent to state prisons four times between 1994 and 2010. Mercer, now 58 years old, said he began writing while locked up in Cook County Jail in 2007. The exercise and a diagnosis of bipolar disorder helped him make the decision to change his life, he said. Mercer was hired as a library clerk after he was sent to Robinson Correctional Center, the same facility where Maurer worked. While at the library, Mercer said he began reading books about business and marketing. He said he learned about social media and how to use it. Using the resources available through the library, Mercer developed a plan to self-publish his book, “A New Fire in You,” and begin a career as a public speaker using his own experiences as a way to motivate others toward positive change. “I told Megan Maurer, when I get out, this is what I’m going to do. I'm going to speak. And I'm going to get my book going. I'm going to get it self-published now. And that’s what I did,” Mercer said. Mercer said he believes a lot of inmates could benefit from the library, but access is extremely limited. Depending on the security level of the prison, Mercer said inmates may only be able to visit the library once a month for an hour or two. Despite Maurer’s efforts as librarian to make the collection the best she could using donated reading materials, Mercer said it was still lacking. A spokesperson for IDOC declined an interview request. Instead, the state prison system sent a statement in response to Illinois Newsroom’s questions. It confirmed there’s no specific appropriation for reading materials, but did not explain the drop-off in funding over the last roughly 15 years. IDOC partners with libraries and other groups that donate books to Illinois prisons, according to their statement. The statement also noted that the prison system is allowed to apply for state grants from the Illinois State Library to fund library operations. Illinois Newsroom submitted a Freedom of Information Act request asking for detailed information about any grants received to support prison libraries since 2000. In their response to that request, IDOC stated that there are no records of any grants received. Maurer, the former prison librarian, said the state prison system does care about education and reducing recidivism. But IDOC also has to cover the cost of healthcare, clothing, meals and transportation for inmates. It adds up, she said. A recent report from NPR Illinois revealed that the state prison system is struggling to cover the cost of running its facilities. Much of that fiscal hardship is a result of the state budget crisis. IDOC, however, did not cite the budget impasse as a reason for the decrease in spending on reading materials. The drop-off in funding for books began years before the budget crisis interrupted the flow of dollars to state agencies. White said she’d love to tell the volunteers to go home and give away all their books if the system no longer relied on donations. In the absence of more investment, though, she said the program will continue to do what it's always done: send books to prisoners. Illinois Department of Corrections spending on reading material from fiscal year 2000 through March 2018.